Embracing Our Differences invites you to participate in its exhibition competition for 2018 and in creating a world where differences are embraced and individuality is celebrated. Artists, photographers, professionals, amateurs, students are all invited to submit their interpretation of the theme “enriching lives through diversity”. In 2018, a total of $3,000 US will be awarded in the form of three separate awards — $1,000 each for “Best-in-Show Adult”, “Best-in-Show Student” and the “People’s Choice” award. Last year, the competition received more than 10,761 individual entries from 115 countries and 48 states. A total of 90 winning works were selected. 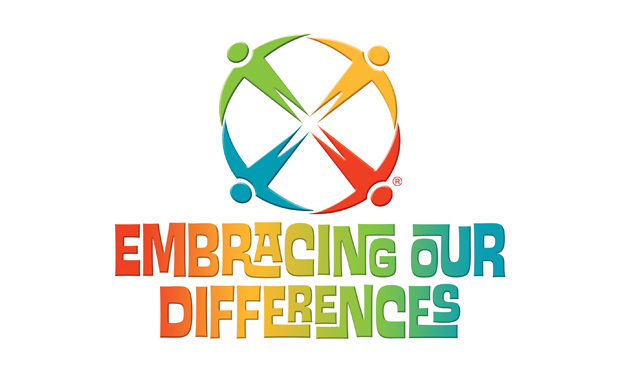 Since 2004 the Embracing Our Differences exhibition has hosted over 2,500,000 visitors plus another 240,000+ students for a very unique opportunity to experience the importance of diversity in our lives. Become a part of this exciting change through your visual art or creative writing submission to the 15th annual Embracing Our Differences juried competition.